Hanover/Korbach, 26th October. 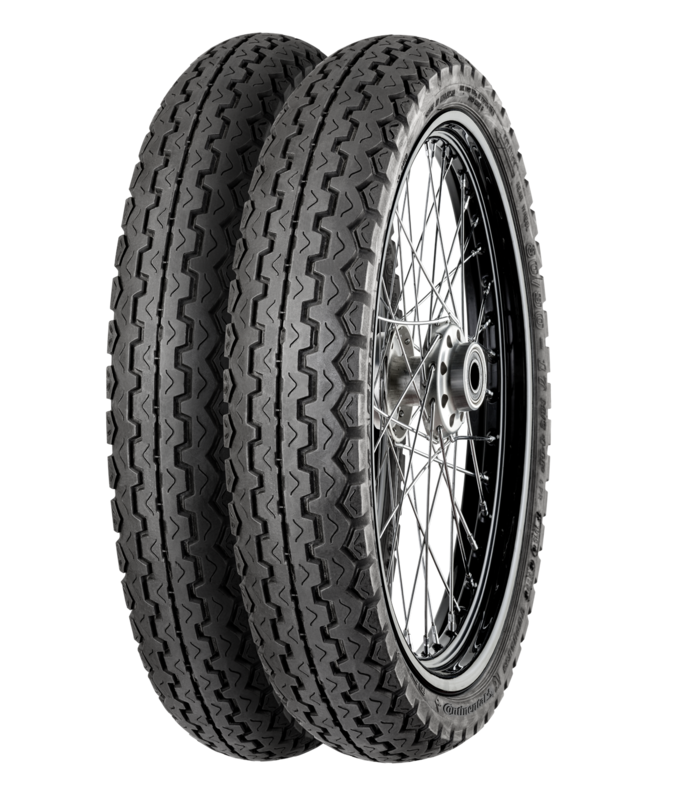 Continental whets the appetite for more in 2017 by releasing four new motorcycle tires. The dynamic quartet assists you whether you are touring a big adventure, cruising on country roads or riding a classical street-going machine. TractionSkin ensures an extremely safe and short run-in time, thanks to a new mold coating technology which eliminates the need for tire-release agents. 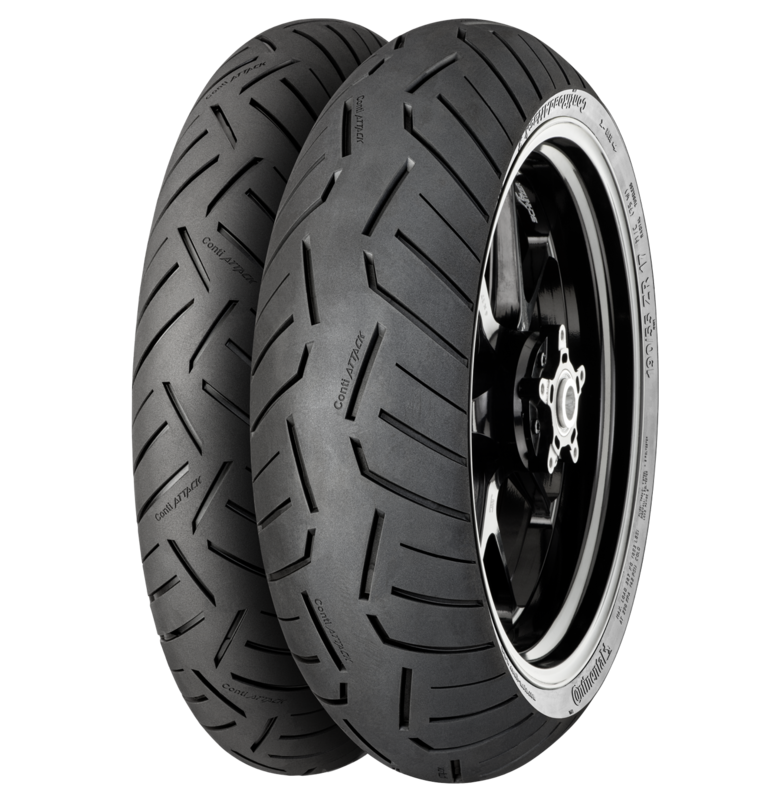 MultiGrip equips the tire with longer durability and optimized grip in extreme lean angles. ZeroDegree ensures reliable stability at high speed and only a low kickback thanks to a 0° steel-belt construction. A superior wet grip is reached, thanks to RainGrip technology. A newly developed technology called EasyHandling bestows the tire with linear handling even if gyroscopic forces are nominal, e.g. when turning or riding sharp corners. Furthermore, the tire’s accuracy has increased by a clear margin. Fans of big fat rubber who passionately ride their touring or cruising bikes will be astonished as well. 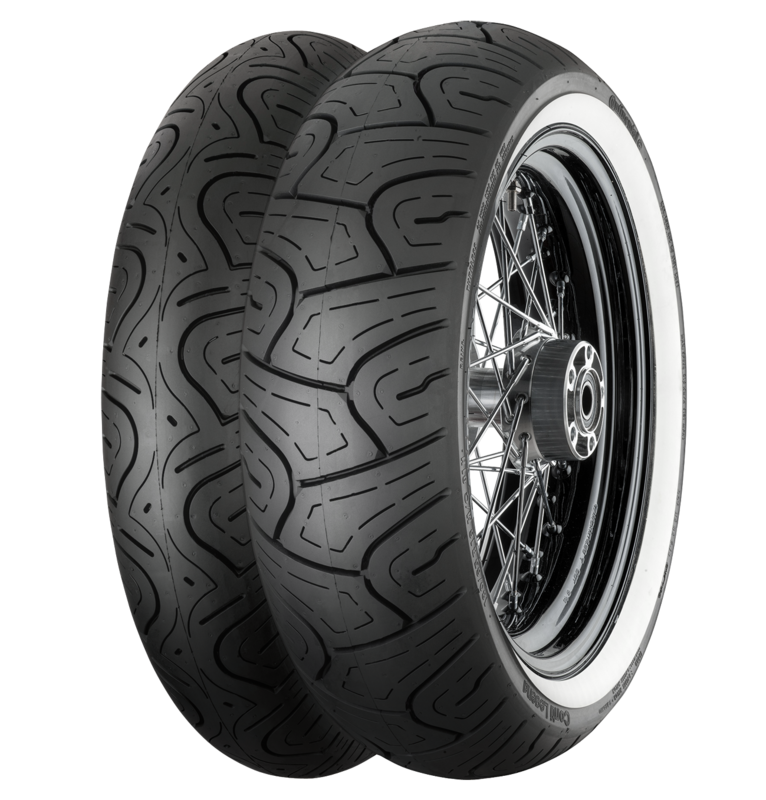 ContiTour and ContiLegend are tires that are perfectly tailored to your cruiser, chopper or custom bike. ContiTour demonstrates what an efficient drainage profile should look like. The pattern design is an all new design. A center tread band on the rear tire without grooves increases mileage and offers directional stability under adverse conditions. A special compound guarantees longer durability while maintaining exceptional handling. ContiLegend and its vintage whitewall design seem to be from a different era. Despite Continental’s MileagePlus technology, a multi grooved pattern design for optimal drainage and consistent performance during tire lifetime, this new rubber roller already looks legendary. Last but not least, the first choice for lightweight and classic motorcycles is the ContiCity. This newly developed Allround / City tire offers outstanding grip on the road due to its triangular pattern design. Cutting edge performance and durability go alongside a memorable, traditional appearance. All new Continental soles are (depending on dimension) available in the first quarter of 2017. More details on availability of certain sizes and the whole product portfolio from Continental Motorcycle Tires can be found on www.conti-moto.com or as booklet at your motorcycle tire dealer.